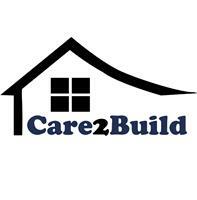 Care2Build Ltd - Builder based in Watford, Hertfordshire. Our name says it all: We care about building.But more than that, we care about building the best for you.We recognise that each client’s properties, preferences, needs and budgets are unique, and we take the time to understand our customer’s requirements so that we can achieve each client’s expectations and ensure satisfaction. With over 12 years’ experience in the UK, Italy and Romania, our multidisciplinary project team and trusted tradespeople can offer the input and guidance to implement your own vision, or use our knowledge and creativity to produce bespoke designs. Working to your budget, and to British and European Standards, we ensure that every job we undertake, no matter the size or scale, is executed to the highest levels of quality and safety.